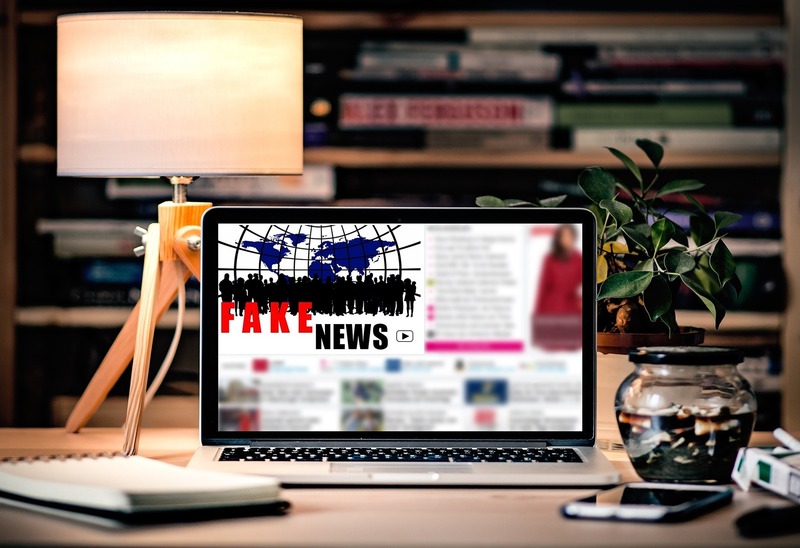 An algorithm-based system that identifies telltale linguistic cues in fake news stories could provide news aggregator and social media sites like Google News with a new weapon in the fight against misinformation. The University of Michigan researchers who developed the system have demonstrated that it’s comparable to and sometimes better than humans at correctly identifying fake news stories. In a recent study, it successfully found fakes up to 76 percent of the time, compared to a human success rate of 70 percent. In addition, their linguistic analysis approach could be used to identify fake news articles that are too new to be debunked by cross-referencing their facts with other stories. Rada Mihalcea, the U-M computer science and engineering professor behind the project, said an automated solution could be an important tool for sites that are struggling to deal with an onslaught of fake news stories, often created to generate clicks or to manipulate public opinion. Catching fake stories before they have real consequences can be difficult, as aggregator and social media sites today rely heavily on human editors who often can’t keep up with the influx of news. In addition, current debunking techniques often depend on external verification of facts, which can be difficult with the newest stories. Often, by the time a story is proven a fake, the damage has already been done. Linguistic analysis takes a different approach, analyzing quantifiable attributes like grammatical structure, word choice, punctuation and complexity. It works faster than humans and it can be used with a variety of different news types. Linguistic algorithms that analyze written speech are fairly common today, Mihalcea said. The challenge to building a fake news detector lies not in building the algorithm itself, but in finding the right data with which to train that algorithm. Fake news appears and disappears quickly, which makes it difficult to collect. It also comes in many genres, further complicating the collection process. Satirical news, for example, is easy to collect, but its use of irony and absurdity make it less useful for training an algorithm to detect fake news that’s meant to mislead. Ultimately, Mihalcea’s team created its own data, crowdsourcing an online team that reverse-engineered verified genuine news stories into fakes. This is how most actual fake news is created, Mihalcea said, by individuals who quickly write them in return for a monetary reward. Study participants, recruited with the help of Amazon Mechanical Turk, were paid to turn short, actual news stories into similar but fake news items, mimicking the journalistic style of the articles. At the end of the process, the research team had a dataset of 500 real and fake news stories. They then fed these labeled pairs of stories to an algorithm that performed a linguistic analysis, teaching itself distinguish between real and fake news. Finally, the team turned the algorithms to a dataset of real and fake news pulled directly from the web, netting the 76 percent success rate. The details of the new system and the dataset that the team used to build it are freely available, and Mihalcea says they could be used by news sites or other entities to build their own fake news detection systems. She says that future systems could be further honed by incorporating metadata such as the links and comments associated with a given online news item. A paper detailing the system will be presented Aug. 24 at the 27th International Conference on Computational Linguistics in Santa Fe, N.M. Mihalcea worked with U-M computer science and engineering assistant research scientist Veronica Perez-Rosas, psychology researcher Bennett Kleinberg at the University of Amsterdam and U-M undergraduate student Alexandra Lefevre. The paper is titled “Automatic detection of Fake News.” The research was supported by U-M’s Michigan Institute for Data Science and by the National Science Foundation (grant number 1344257).